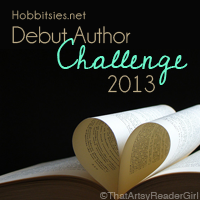 The Debut Author Challenge is hosted by Hobbitsies. The challenge is to read 12 books by debut authors in 2013. 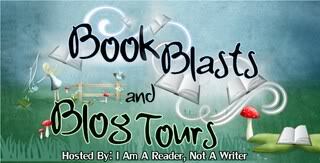 I’m looking forward to discovering new and upcoming authors in 2013. Join me in this exciting challenge. Summary from Goodreads: The lush city of Palmares Tres shimmers with tech and tradition, with screaming gossip casters and practiced politicians. In the midst of this vibrant metropolis, June Costa creates art that’s sure to make her legendary. But her dreams of fame become something more when she meets Enki, the bold new Summer King. The whole city falls in love with him (including June’s best friend, Gil). But June sees more to Enki than amber eyes and a lethal samba. She sees a fellow artist. Summary from Goodreads: Jade Moon is a Fire Horse — the worst sign in the Chinese zodiac for girls, said to make them stubborn, willful, and far too imaginative. But while her family despairs of marrying her off, she has a passionate heart and powerful dreams, and wants only to find a way to make them come true. Summary from Goodreads: The Seven Stages War left much of the planet a charred wasteland. The future belongs to the next generation’s chosen few who must rebuild it. But to enter this elite group, candidates must first pass The Testing—their one chance at a college education and a rewarding career. Summary from Goodreads: Addison Coleman’s life is one big “What if?” As a Searcher, whenever Addie is faced with a choice, she can look into the future and see both outcomes. It’s the ultimate insurance plan against disaster. Or so she thought. When Addie’s parents ambush her with the news of their divorce, she has to pick who she wants to live with—her father, who is leaving the paranormal compound to live among the “Norms,” or her mother, who is staying in the life Addie has always known. Addie loves her life just as it is, so her answer should be easy. One Search six weeks into the future proves it’s not. Summary from Goodreads: Ben and Maggie have met, fallen in love, and died together countless times. Over the course of two pivotal days—both the best and worst of their lives—they struggle again and again to resist the pull of fate and the force of time itself. With each failure, they return to the beginning of their end, a wild road trip that brings them to the scene of their own murders and into the hands of the man destined to kill them. Summary from Goodreads: Tim Macbeth is a 17-year-old albino and a recent transfer to the prestigious Irving School, where the motto is, “Enter here to be and find a friend.” Tim does not expect to find a friend; all he really wants to do is escape his senior year unnoticed. Despite his efforts to blend into the background, he finds himself falling for the quintessential “it” girl, Vanessa Sheller, girlfriend of Irving’s most popular boy. To Tim’s surprise, Vanessa is into him, too, and she can kiss her social status goodbye if anyone finds out. Tim and Vanessa enter into a clandestine relationship, but looming over them is the Tragedy Paper, Irving’s version of a senior year thesis, assigned by the school’s least forgiving teacher. Summary from Goodreads: Michael Hassan’s shattering debut is a tale of first love and first hate, the story of two high school seniors and the morning that changed their lives forever. It’s a portrait of the modern American teenage male, in all his brash, disillusioned, oversexed, schizophrenic, drunk, nihilistic, hopeful, ADD-diagnosed glory. Summary from Goodreads: With frizzy orange hair, a plus-sized body, sarcastic demeanor, and “unique learning profile,” Danielle Levine doesn’t fit in even at her alternative high school. While navigating her doomed social life, she writes scathing, self-aware, and sometimes downright raunchy essays for English class. As a result of her unfiltered writing style, she is forced to see the school psychologist and enroll in a “social skills” class. But when she meets Daniel, another social misfit who is obsessed with the cult classic film The Big Lebowski, Danielle’s resolve to keep everyone at arm’s length starts to crumble. Summary from Goodreads: Seventeen-year-old “Hank” has found himself at Penn Station in New York City with no memory of anything –who he is, where he came from, why he’s running away. His only possession is a worn copy of Walden, by Henry David Thoreau. And so he becomes Henry David-or “Hank” and takes first to the streets, and then to the only destination he can think of–Walden Pond in Concord, Massachusetts. Cal Armistead’s remarkable debut novel is about a teen in search of himself. Hank begins to piece together recollections from his past. The only way Hank can discover his present is to face up to the realities of his grievous memories. He must come to terms with the tragedy of his past, to stop running, and to find his way home. Summary from Goodreads: Golden boy Ezra Faulkner believes everyone has a tragedy waiting for them—a single encounter after which everything that really matters will happen. His particular tragedy waited until he was primed to lose it all: in one spectacular night, a reckless driver shatters Ezra’s knee, his athletic career, and his social life. Summary from Goodreads: When Imogen, a sixteen-year-old black belt in Tae Kwon Do, freezes during a holdup at a local diner, the gunman is shot and killed by the police, and she blames herself for his death. Before the shooting, she believed that her black belt made her stronger than everyone else — more responsible, more capable. But now her sense of self has been challenged and she must rebuild her life, a process that includes redefining her relationship with her family and navigating first love with the boy who was at the diner with her during the shootout. With action, romance, and a complex heroine, Bruised introduces a vibrant new voice to the young adult world — full of dark humor and hard truths. Summary form Goodreads: Five years ago, Wren Connolly was shot three times in the chest. After 178 minutes she came back as a Reboot: stronger, faster, able to heal, and less emotional. The longer Reboots are dead, the less human they are when they return. Wren 178 is the deadliest Reboot in the Republic of Texas. Now seventeen years old, she serves as a soldier for HARC (Human Advancement and Repopulation Corporation). Can’t wait for 2013! 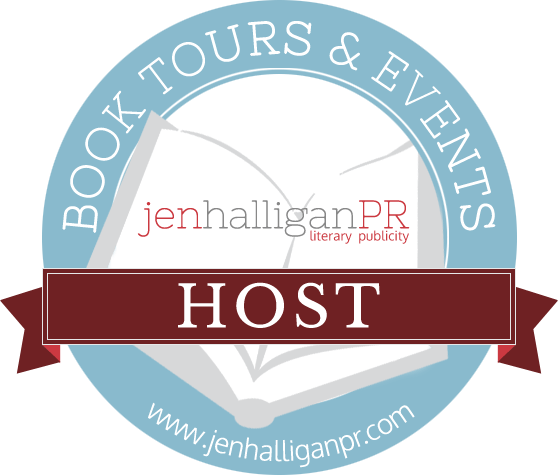 What debut authors have you excited?